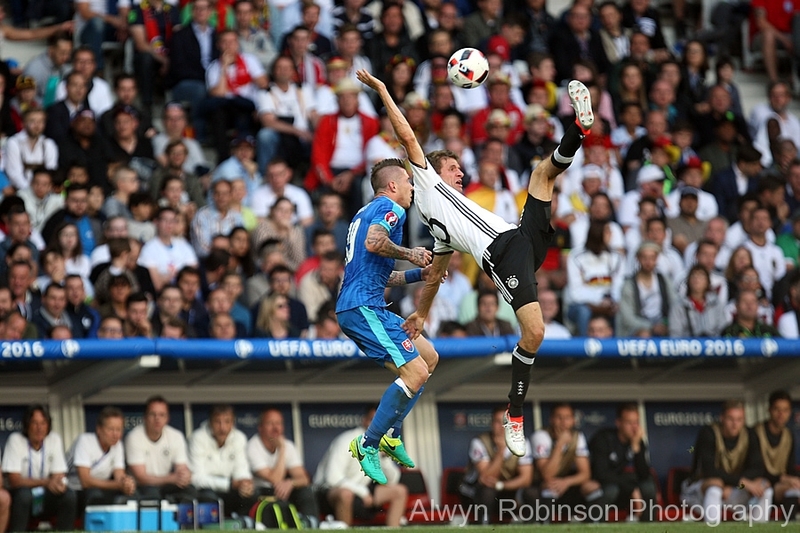 The EURO 2016 last 16 match between Germany and Slovakia at the Stade Pierre Mauroy on 26th June 2016. Boateng gave Germany the lead; his first international strike in 63 games before Gomez extended the world champions’ advantage; Draxler made it 3-0 in the second half. Kozáčik saved Özil’s penalty with Slovakia 1-0 behind.